Vampire Couple. 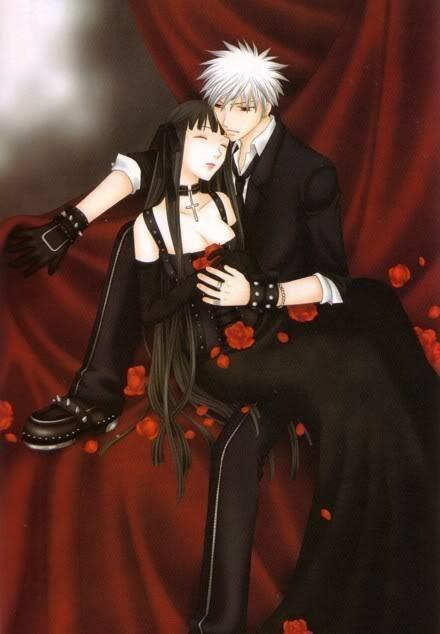 Vampire Couple :). Wallpaper and background images in the 뱀파이어 club tagged: vampire horror vampyre vampires vampire couple image. These two aren't vampires. They are Rin and Haru Sohma from Fruits Basket aka Furuba.